A stunning collar necklace with sparkles influenced by vintage eras. Bejewelled Starlet Necklace takes inspiration from the iconic 1940s Hollywood era. Featuring a myriad of brilliant and marquise cut clear Austrian crystals set on silver tone, this is the perfect necklace for fans of 1940s costume jewellery. 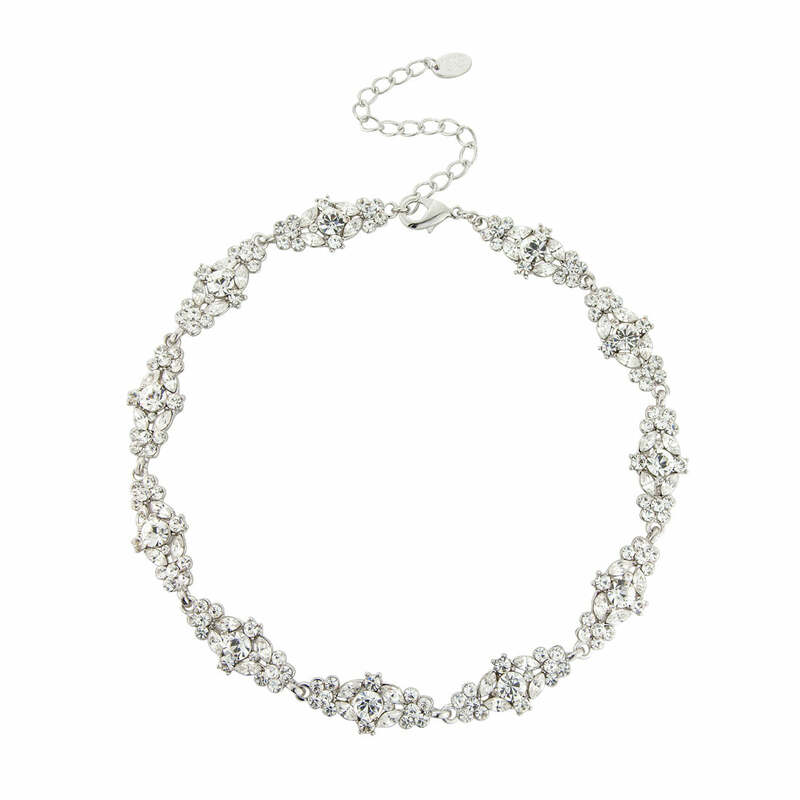 Bejewelled Starlet Necklace is an eternity style necklace perfect for every special occasion. Go for dramatic show stopping style by coordinating with Bejewelled Starlet Earrings and Bracelet. A sensational wedding necklace for brides who adore timeless glamour, this would enhance a vintage inspired wedding gown to perfection. Coordinate with a sparkling crystal headpiece to emphasize classic 1940s style. This is absolutely stunning! It looks SO so so much more expensive than even £50 and really vintage, I'll wear it with my very simply (but chic!) wedding dress in a few weeks and can't wait!!! so sparkly.